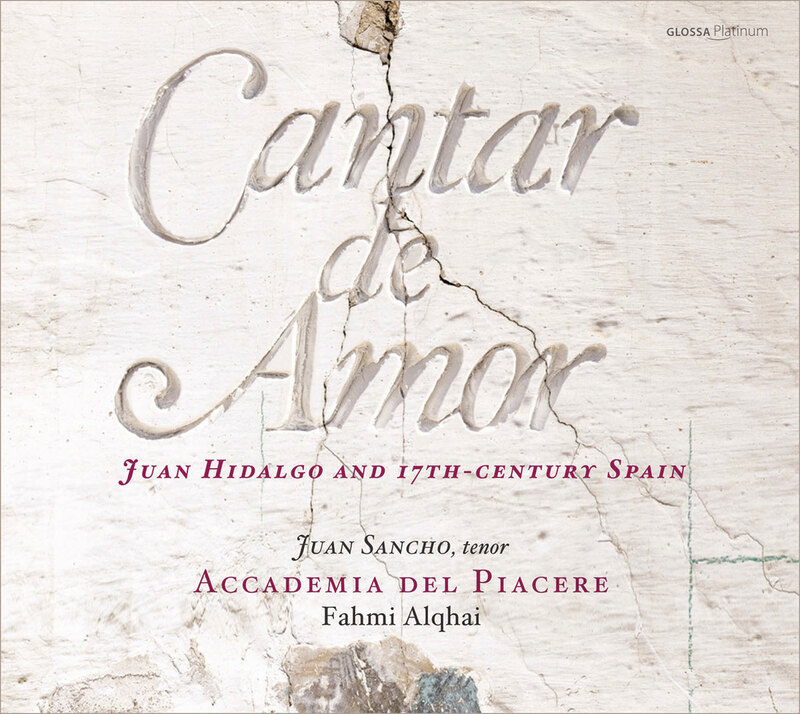 For Cantar de Amor, Fahmi Alqhai and Accademia del Piacere are joined by their fellow Andalusian, the tenor Juan Sancho (well-received for his operatic roles), in an impressive new survey of seventeenth-century Spanish dramatic songs depicting the trials of love. Many of the tonos on this new disc from Glossa (home to a growing number of recorded programmes from Alqhai and his striking sound world) were composed by Juan Hidalgo, the foremost musical figure of the time – the quatercentenary of his birth fell late last year – one who worked with Pedro Calderón de la Barca in producing a wide variety of works of musical theatre. If many of such works as these were lost in a disastrous fire in Madrid in 1734, Sancho and Accademia del Piacere have been able to gather together an excellent array of surviving canciones to express the vibrancy and character of the torments of love in the Spanish theatrical manner. Fahmi Alqhai and his instrumental colleagues also provide vital renditions of marionas, chaconas and passacalles in order further to go to the heart of the musical spirit of a Spain when limited cultural influences were entering the country from elsewhere in Europe. Juan Ramón Lara pens a contemporary view of the importance in the era of Hidalgo and fellow composers such as Mateo Romero and José Marín; a golden artistic age at a time of impending financial crisis. On sale since May 2015 for only € 15.00, shipping included to anywhere in the world, with notes in English, German, Spanish and French.